Marcie Cohen Ferris, author of The Edible South: The Power of Food and the Making of an American Region, talks with Gina Mahalek about food as history, place, and power and as an entry to the past. Gina Mahalek: In 2005, you broke new ground with your acclaimed book Matzoh Ball Gumbo: Culinary Tales of the Jewish South. In The Edible South, you offer an extraordinarily ambitious, wide-reaching social history of the foodways of the American South over more than five centuries. Why is food a particularly revealing lens through which to look at key historical events? Marcie Cohen Ferris: Food is history. Food is place. Food is power. When we examine the historical arc of food in the American South, we encounter the tangled interactions of its people over time, a world of relationships fraught with conflict, yet bound by blood and attachment to place. The contradiction between the realities of plenty and deprivation, of privilege and poverty in southern history resonates in the region’s food traditions. Today, southern food has become untethered from the history responsible for this cuisine. This history helps us understand why southerners eat the way they do, and why we think of our foods as deeply southern. GM: You begin your book with the statement, “I look for food in everything.” How so? MCF: I can’t help myself, and it drives my mother a little crazy. My childhood letters sent home from summer camp are filled with descriptions of mealtime and special snacks, rather than canoe trips and cabin dramas. My brother-in-law, writer Jim Magnuson, says that when I scan the horizon, the food grid rises up above everything else. Food catches my attention. I can scan a page of a book or an old letter and find food as though it’s highlighted in fluorescent yellow marker. It jumps out at me—snippets of biscuits, cornbread, cake, preserves, elderberry wine—and pulls me in. In the most basic way, food catches my attention because I know what it feels like to eat something delicious, to be hungry, to dislike the taste or texture of a food, to both struggle with food and be enchanted by food. If only for a sentence or a scene, a description of food enriches my understanding. It is a sensual experience, because, in food, an emotional world comes into view—a place of color, imagined tastes, interaction, and memory. Food helps me understand the world around me, but it is also my entry to the past. GM: Why has the story of the edible South been so hard to find? The turbulent social activism of the 1960s and 1970s spawned a generation of scholars who rejected a vision of the past that ignored ordinary Americans, including that most ordinary activity of daily life—eating. Today, food is increasingly recognized as an important tool of analysis in southern cultural and economic history, as well as in the social sciences. Food foregrounds the once-silenced voices of those whose hands and minds defined southern cuisine—women in particular. Enslaved cooks, house slaves, and field hands of the antebellum South, the white and black working poor of the post-Civil War South, and food workers of the contemporary industrial South are central to this story. GM: What’s the link between southern cuisine and historic preservation in the New South? MCF: Southern cuisine was a key component in historic preservation efforts in the early twentieth century to promote and sell the South and its racial mores to both tourists and locals. Through constructed memories of southern food from the plantation to the mountain South, sophisticated campaigns were launched to promote the “taste” of the Old South in Williamsburg, Virginia, the Lowcountry flavors of Savannah and Charleston, the fashionable Creole cuisine of New Orleans, and the “authentic” “hillbilly” and “Highlands” foods of the mountain South. New commercial southern food products, fine southern restaurants, down-home cafés, nostalgic cookbooks, and a developing southern market for national food brands attracted travelers to popular southern tourist destinations. A rising white middle class embraced historical narratives of white nobility, black service, and exceptional hospitality associated with this invented South. GM: Young, northern-born, working-class, white women employed as governesses and teachers by white slaveholding families give us an important window into the plantation South. What do their voices tell us, and why is their perspective so revealing? MCF: Placed in the heart of the plantation household, white governesses from the North were privy to an intimate portrait of family life in the interstices between slaveholders and the enslaved. Descriptions of food—the distinct tastes of southern cuisine, the rituals of daily meals, special occasions and holidays, the challenges of food supply and preparation in the southern heat, and, most important, the racial codes associated with slavery in the domestic sphere—were central to the experience of governesses. These young women became ethnographers of a sort as they documented and critiqued southern society, manners, food, and institutions, including slavery, in their letters to family. GM: How, specifically, did the meals of enslaved people differ from what was on plantation owners’ tables? MCF: Enslaved people in the quarters ate a traditional ration that was common across the South. Cornmeal, pork (fat back), bacon, field peas, yams or sweet potatoes, molasses, and greens were the basic ingredients of their diet. Enslaved people sometimes kept a small garden and supplemented their meager diet by raising domestic animals, hunting and fishing, and gathering wild foods. Food on the plantation owners’ table was also defined by this core cuisine, but much more abundant and elaborate. Their meals were prepared and served by enslaved people. Plantation owners enjoyed vegetable side dishes, pickled vegetables, preserved fruits, a variety of meats, such as poultry, roast pork, and game, rice in the Lowcountry, fish and seafood in coastal regions, yeast breads, many desserts, and imported wines and spirits. GM: What were some of the immediate effects of the end of the Confederacy and slavery on the southern diet? MCF: After the Civil War’s end, an emancipated workforce meant that routine activities, such as cooking and housekeeping, became expressions of personhood as recently freed ex-slaves tested their new status. With so little “hired help” available, whites experienced a shift in power as black servants requested fair working conditions as free labor. Empty kitchens and less-than-satisfactory meals were visceral reminders that the South whites once knew had vanished. GM: You note that between the 1920s and the 1940s, “the southern diet” and “southern cookery” were identified as “the South’s greatest problem and its most beloved treasure.” Can you unpack this seeming contradiction? MCF: In his massive ethnography of the South, Southern Regions of the United States (1936), UNC sociologist Howard Odum addressed diet as an essential part of regional culture. He described “two contrasting pictures” of the culinary South, a world of plenty and a world of deprivation: “One portrays the excellence of southern cooking with its contributions to the art of living; the other the subsistence diet of the masses of marginal folk, commonly ascribed as a major factor in deficiencies of vitality and health.” These contrasting views of southern food reflect the region’s abundance, beauty, and richness, as well as its dark underside. The history of southern food includes the history of slavery, poverty, and the negotiation of power in the region. GM: Are there any myths or stereotypes about southern food that you hope to dispel? MCF: Fried chicken, biscuits, and pitchers of sweet tea—the caricatures of southern foods are so “super-sized,” enriched, sweetened, and filled with butter that these iconic foods have become unrecognizable to native southerners. Despite the exaggerated versions of southern food we see on television and in popular, southern-style, “country” restaurant chains, a core culinary grammar and history remains at the heart of these foods, whether it be the rich desserts of the plantation South or the plain meals of working-class and impoverished southerners. Consider the southern larder of seasonal fruits and vegetables—greens, ramps, butter beans, home-made preserves and pickles, oysters, shrimp, cured hams, stone-ground grits, peanuts, Carolina Gold Rice, roasted sweet potatoes, a piece of hot cornbread. Southern food is a distinctive, innovative cuisine that is grounded in the world of local agrarian traditions—soil, waters, region, season, flora and fauna—and the influence of global cultures. Southern food also embodies the memory of racial and class trauma, land loss, poverty, and disease. GM: Your book jacket features a photo by William Eggleston of an ordinary meal laid out on a dining room table. Why is it such an appropriate image for The Edible South? MCF: My work explores the complex politics and history of southern food, a world that has been sentimentalized and stereotyped in the past. William Eggleston’s color photograph, “Sumner, Mississippi,” reflects the complexity of southern food and the region that produced it. The story told in The Edible South is not a “moonlight and magnolias” banquet of tempting culinary delights, but rather, a narrative about contested forces that have shaped southern foodways for over five centuries. This is not a pretty or an easy story, and the Eggleston image reflects this truth. The photograph speaks powerfully about race, class, and gender at the southern table, perhaps because the white and black southerners responsible for this meal are not pictured. They are there implicitly, and therein lies the strength of this photograph. What is not there, what is not said, is as important as the ordinary meal captured, a meal prepared for a grandson—the photographer—visiting his grandmother in the Mississippi Delta. Eggleston beautifully captures the food and artifacts of one moment in an evolving South that both leans into the past and bends towards the present—the white china plate of fried ham and green beans, a baked potato, a salad of iceberg lettuce and tomatoes, yeast rolls, a silver butter dish, a glass of iced tea, a vase of magnolia blossoms, and vintage 1970s place mats. GM: Like Matzoh Ball Gumbo, The Edible South is also richly illustrated with 50 images that seem to speak across time. Why are these particular visuals—photos, cartoons, advertisements, and more—key to the story that you have to tell? MCF: To approach the unwieldy, vast story of southern foodways, I select historical moments, places, and people in the complex narrative of the region’s culinary history. The South’s visual artifacts of food—engravings, advertisements, trade cards, sketchbooks, photographs, cartoons, menus, invitations, and postcards—help us understand how the region has evolved over time and the centrality of food in this history. Illustrations featured in The Edible South capture how for centuries southerners have spoken and written about, celebrated and reformed, and fought over the issue of food. GM: What does southern food reveal about the region at this moment? And what important changes and struggles might lie ahead for the evolutionary South? MCF: A southern food movement based on seasonality and soil that was led by passionate farmers, chefs, and artisanal food producers shaped the region’s culinary landscape in the 1980s and 1990s. Many of these young leaders left the South to live in France and California, then returned home to the South as food activists. The current southern food movement is rooted in the politics of the 1960s and 1970s, the new regionalism of the 1980s, and the globalism of the present. It is also empowered by a contemporary revolution in opposition to America’s industrialized food systems. Both the creativity and the crisis of southern foodways are exemplified by two poles in the region today—one of distinctive, innovative foods grounded in tradition, story, and the influence of global cultures; and the other, an inheritance of racial and class trauma, expressed in land loss, poverty, hunger, and disease. To visualize a dynamic, just, and healthy future for all southerners, we must learn from the region’s history, in which progress and resistance to change have done constant battle. Southern food today reflects the rapidly changing food geography of the region as Latino, Asian, Eastern European, and Middle Eastern southerners have influenced southern cuisine. 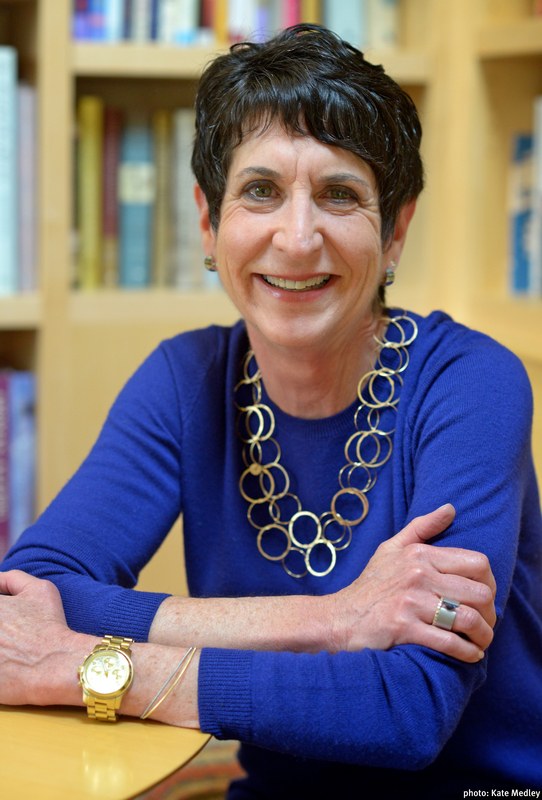 ###Marcie Cohen Ferris, associate professor of American studies at the University of North Carolina at Chapel Hill, is author of The Edible South: The Power of Food and the Making of an American Region (2014) and Matzoh Ball Gumbo: Culinary Tales of the Jewish South (2005, pb 2010).